MD - Radiology, Diploma in Tuberculosis and Chest Diseases, M.B.B.S. 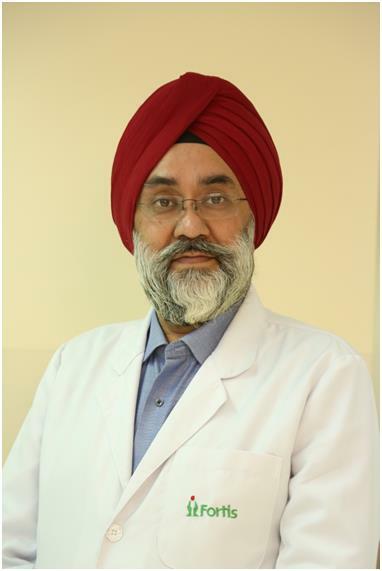 Dr. Harpreet Singh, MBBS, MD(Radiation Oncology, having illustrious experience of nearly three decades, is currently the additional Director of Radiology Department at Fortis Hospital, Mohali. Prior to that, he had career stints as a Senior consultant & head of the Oncology Department at Patel Hospital, Jalandhar and Senior Consultant Radiation (Oncology) at M.D Oswal Cancer Treatment & Research Foundation, Ludhiana. Apart from this, he was senior resident at Batra Hospital & Medical Research Centre, New Delhi & Maulana Azad Medical College & Associated Hospital, New Delhi. Dr. Harpreet completed his MBBS & Radiation Oncology from the prestigious Maulana Azad Medical College, New Delhi. In between these two, he accomplished Diploma in Tuberculosis & Chest diseases too. He has also attained a Fellowship from AROI and then went to US to complete his training in advanced techniques in Radiotherapy at John Moores Hospital, University of California, San Diego. To his credits, he has more than 28 publications in his name. He is an active member of various professional associations and frequently participates in workshops & conferences to optimize his knowledge with the latest advancements of international standards. Association of Gynaecology Oncologists of India .